When bacteria enters the pulp it thrives and destroys the tooth. This damage is irreversible. 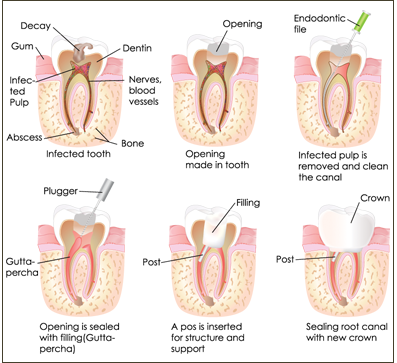 The pulp is then removed with the tooth (extraction) or removed while leaving the tooth (root canal). It is my attempt to avoid root canals when at all possible. However, when necessary, a root canal can preserve a tooth in the mouth for many years with safe and reliable results.